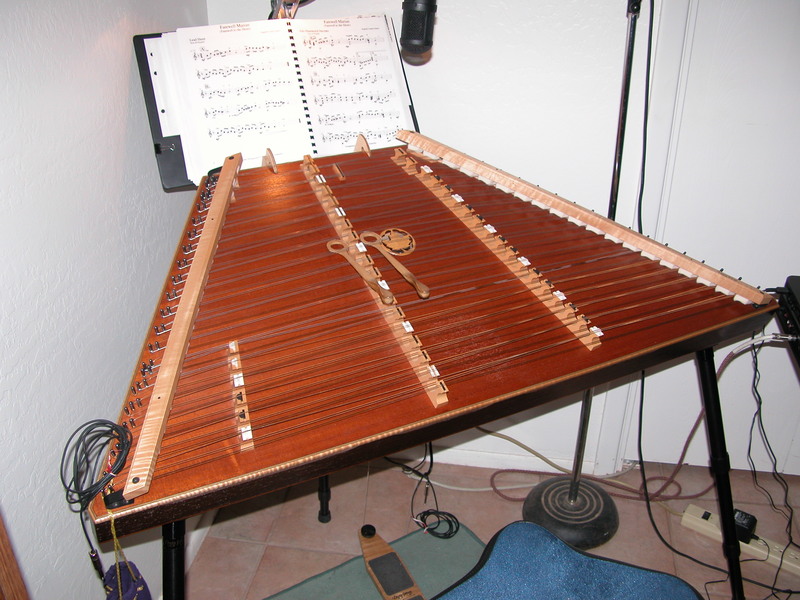 Dulcimers have many names in many lands: dulcymore, salterio, tsimbal, santour, yang chin, hackbrett, and cymbalom. Dulcimer means ‘sweet sound’. Pictured is my Dusty Strings D-600 Hammered Dulcimer. It is equipped with legs, dampeners, and pick-ups by Shatten Design. Here are some examples of my Hammered Dulcimer music including Renaissance, Original tune, Bluegrass, Appalachian, and even a Sting tune. JUNE APPLE-JUNE APPLE is a trio based in Phoenix, AZ. JUNE APPLE combines elements of Americana, Folk, Bluegrass, Jazz, Rock, Blues and World Music. JUNE APPLE consists of James ‘JT’ Taylor, Lauren Marovich, Ben Roberts. Lauren provides lead vocals, guitar, mandolin, ukulele, and mountain dulcimer, while “JT” provides hammered dulcimer, steel pan, melodica, percussion and vocals. Direct from Texas, Ben Roberts adds violin, fiddle and vocals. They all share in the share songwriting, arranging and production duties.